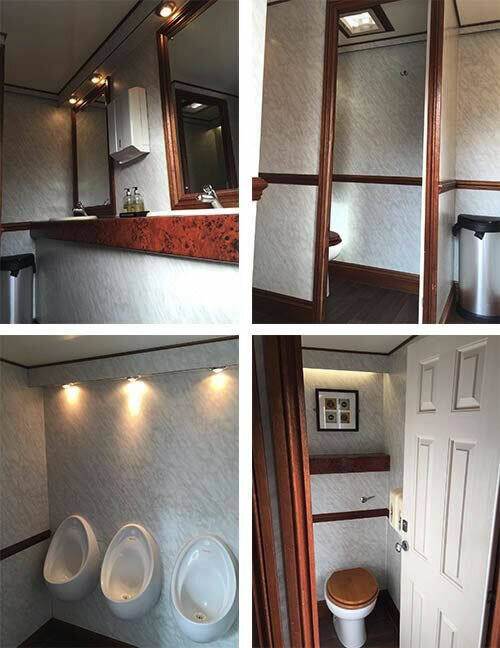 If you are looking for something a little more sophisticated than a tiny portaloo, or you don’t like the idea of all your guests wandering through your house with dirty shoes, a deluxe toilet unit is the best option. 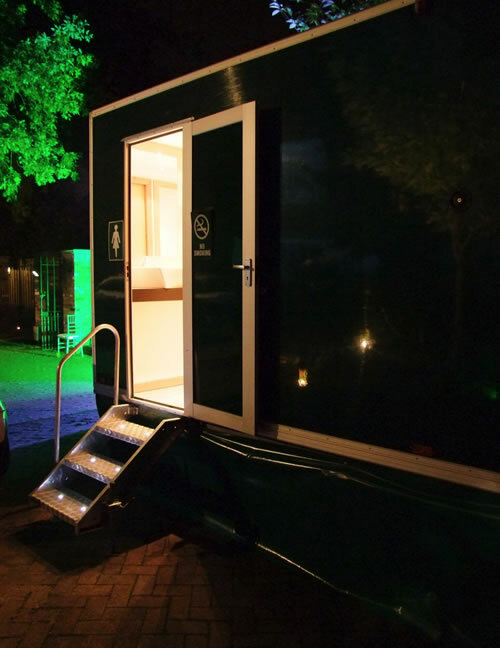 Our luxury self-contained toilets are finished in bottle green and are complete with a matching base skirt. Each unit is supplied with non-slip steps and a handrail for both ladies and gents. Step inside and you will find an air of elegance. The interior walls are finished in soft marble grain together with rosewood dado rail, architrave and skirting. If you need more information or a quote from us, please enquire here or call us on 01892 532200. All internal doors and dividing walls are floor to ceiling ensuring complete privacy. 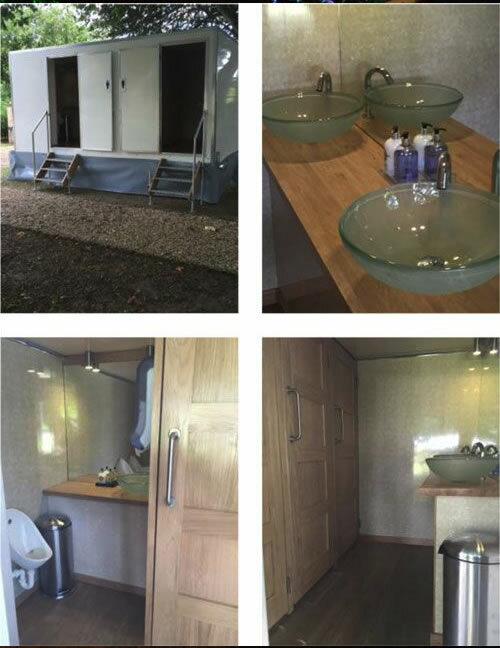 Provided in the vanity areas are wall mirrors together with a full length mirror. To complement the vanity area our china sinks and brass taps, which on demands supply a flow of hot and cold water, are set into a surround of burgundy tiles. At no additional cost, all toilets are automatic perfumed air dispensers, soft toilet paper, personal disposable sear covers, hand towelling, soft soap, facial tissues and fresh flowers. Our service includes delivery and collection to and from the venue. If you require, a full time attendant can be arranged for your function. 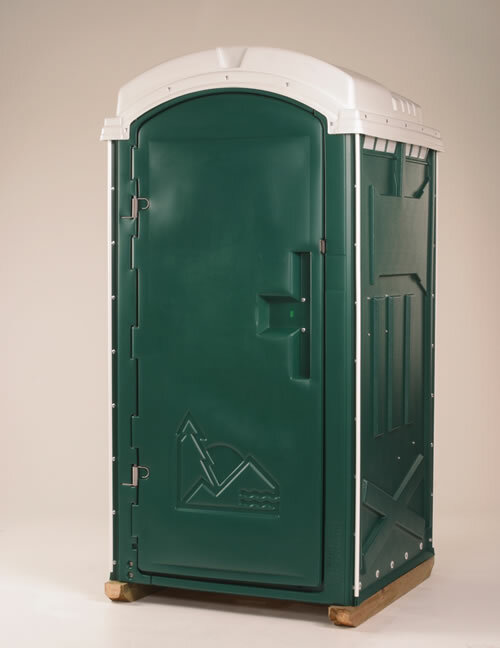 We have different size of toilet units available, so give us a call to ask for more information about them.